The Season Pass will include both single-player and multiplayer content. Microsoft has announced that, starting today, fans of the upcoming remake Dead Rising 4 can pre-order the game’s Deluxe Edition which includes both the core experience and the Season Pass. 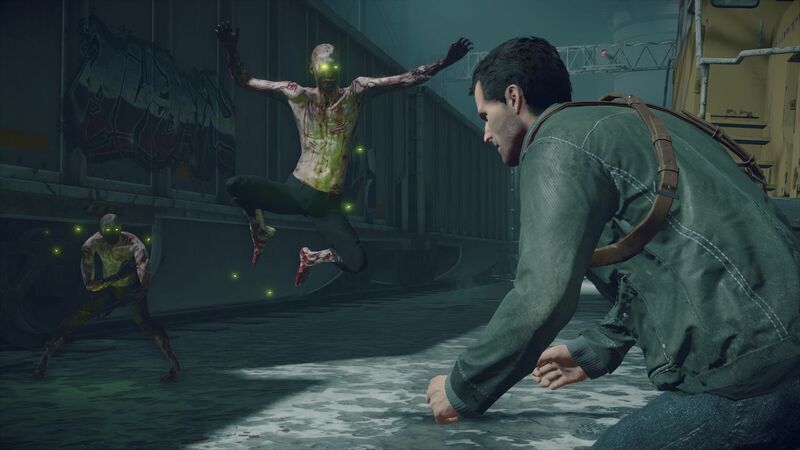 What’s more, the company also detailed the bonus downloadable content which will be granted through the Season Pass, content which includes new multiplayer additions and a thrilling single-player bonus campaign that harkens back to the original Dead Rising. Stocking Stuffer Holiday Pack (Season Pass Exclusive):Frank West is home for the holidays and he’s got a naughty list the size of Willamette, Colorado. Tear up the streets with festive weapons, zombies, vehicles, costumes and more. Super Ultra Dead Rising 4 Mini Golf:You’ve mastered the outbreak – now it’s time to master the green, with eighteen holes of pure wanton destruction you can play with up to three friends online. Flip zombies the birdie where bloodthirsty, over the top zombie mayhem is par for the course. The world of Super Ultra Dead Rising 4 Mini Golf is extreme and the fairways are the town of Willamette, Colorado, including the iconic Willamette Memorial Megaplex Mall. Use Frank West’s favorite weapons as your set of golf clubs. With an oversized golf ball, drive down the fairways, reaching for the green to nail the perfect putt. Watch your score as you do not want to bogey in this zombie filled eighteen-hole golf course. Mini golf is made crazier with the zombie horde as obstructions and hazards. Dead Rising Fore! Dead Rising 4: Frank Rising:In this DLC, Frank West is freshly infected and needs to find a cure before he becomes a zombie and is lost forever. While searching for a cure, Frank discovers that everything is not the same as it was; zombies are getting smarter, people cannot be trusted and paramilitary forces are plotting to wipe out Willamette. Frank has a limited time before he reverts to the full zombie state and the city is wiped out. Frank will have to get to the truth first… or die trying. While the description for the Super Ultra Dead Rising 4 Mini Golf DLC is loaded with an extraordinary amount of golf/zombie puns, it doesn’t really clarify how exactly the DLC bonus mini-game will function other than saying you’ll be able to play it with friends. However, the Frank Rising pack actually sounds pretty cool as it appears it will recreate the conditions from the latter half of the original Dead Rising story campaign while sprinkling in a few elements from the original Dead Rising’s bonus survival mode. Dead Rising 4 is set to launch on December 6th for both Xbox One and Windows 10.